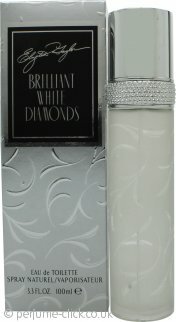 Brilliant White Diamonds by Elizabeth Taylor is a floral fragrance for women. It contains notes of tuberose, mandarin orange, rose, honeysuckle, lily, sandalwood, musk and vanilla. Brilliant White Diamonds was launched by Elizabeth Taylor in 2001.